Five strategies for success from business innovator and leadership expert Simon Sinek. Widely hailed as a visionary thinker, Simon Sinek teaches leaders and companies how to inspire their people and build organizations where employees feel fulfilled and happy. This, he says, is the most effective way to create a lasting and successful business. Ted.com. To date, it has gotten nearly 22 million views on YouTube. In the latest installment of the Footwear Network Series, Sinek offers five actionable ways to apply his methods to footwear retailing. 1) Know what you stand for. Then tell your customers. 2) Set priorities: People first, profits second. To research Leaders Eat Last, Sinek studied directors, supervisors and chiefs everywhere from the boardroom to the combat zone. He found that the best leaders—and the most successful organizations—value humans over numbers. His book’s title sprang from one inspiring example he observed: Senior U.S. Marines lined up last in the mess hall, sacrificing their own comfort until the needs of those in their care were met. Skeptics might say the human factor has no impact on the bottom line, but Sinek offers numerous examples to support the notion that businesses thrive when they create what he calls a “circle of safety” for their employees—a work environment where employees don’t fear their colleagues, bosses or for their job security, and where they’re valued as human beings, not seen as line items or money-making machines. Sinek’s advice: Do whatever you can to build their confidence, give them training to improve their skills and teach them how to deal with conflict. Make them feel like their work and their time are valued. “What you’ll get is a workforce that cares so deeply about your store’s success that they’ll go out of their way to help you and your vision advance,” says Sinek. Most businesses today penalize their people whenever profits go down, he says. “But there’s tons of research that shows the more trust you give people, the more empowered and valued you make them feel, the more responsibility they’ll take on and the more they’ll want to help you succeed,” he says. Treat your staff like family. People don’t get rid of their children because they get a C in a math class, Sinek points out. They hire a tutor. So if a staff member is struggling, don’t get rid of them. Give them help. Ask if they’re okay. Find out what they need to improve. 3) Think camaraderie, not competition. Not only do customers know when employees are miserable or afraid of getting fired, they can sense when employees distrust each other. And the tension poisons the buying environment. “We’ve all been in stores where employees are incentivized based on commission and you feel like chum in the water with sharks coming at you competing for the sale,” Sinek says. When employees have an every-man-for-himself attitude, shoppers pick up on the negativity. In a well-run store, employees help each other—and that helpfulness extends to shoppers. If they’re fitting a customer, they don’t say, ‘Sorry, I’m with someone. You’ll have to wait.’ They find a colleague to help you, he says. Beyond scrapping the commission model, Sinek offers several strategies to foster teamwork and amity. The first is public recognition in staff meetings for workers who go the extra mile. “The best is peer recognition, where each of your employees gets to choose who they consider the most valuable team member, the one they can’t live without. It’s not always the person who performs the best. It might be the one who supports them the most. And the reward doesn’t have to be a bonus. It might be extra vacation time or just being told, ‘You were fantastic.’ Knowing your peers think you’re great and that your vote counts makes everybody work to a higher standard,” Sinek contends. When times get tough, that might not seem like enough. 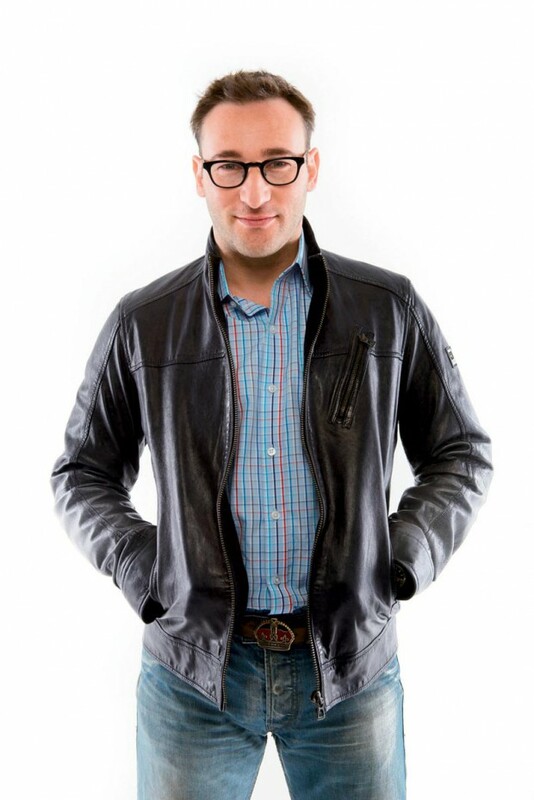 “The knee-jerk is to have layoffs, but it’s not the only option,” Sinek stresses. “My friend Bob Chapman [of the global capital equipment and engineering consulting firm Barry-Wehmiller Companies] lost 30 percent of his business in the 2008 slowdown. He couldn’t afford his labor pool, but he didn’t want to lose anyone. So he implemented a furlough program where everybody had to take four weeks of unpaid vacation. When he announced it, he said, ‘It’s better for all of us to suffer a little than for any one of us to suffer a lot.’” Surprisingly, morale went up. And strange things started to happen: Employees who could afford five weeks without pay took an extra week so those who could afford it less would only have to take three weeks unpaid. The support happened organically because the group’s leader fostered an environment where people took care of each other, says Sinek. 4) Embrace change. It’s inevitable. When competition moves in, you can’t just complain about it. You must improve the quality of your product. “You don’t need a fancy store with crazy activities,” Sinek assures. You just need a well-run store that embodies your core beliefs—your “why”—and where your people are protected by the circle of safety. Leadership is a skill. You can learn to be a great leader, even if it doesn’t come naturally. And leadership is not a synonym for management, he cautions. Managers simply oversee a process. Leaders oversee people. Where should you start? Read books, take classes (Sinek offers The Why Discovery Course for small businesses, at www.startwithwhy.com) and talk to people you consider effective leaders in any industry. How would you describe your overall sense of style? I’m preppy. I wouldn’t call myself a slave to fashion, but I definitely have my own way of putting things together. I range across the whole board, from sneakers to boots. I like things that are very, very traditional like brogues and things that are fun. For instance, I just bought a pair of brick-colored shoes. I call them my red shoes. In terms of comfort, I love Ugg—not the fuzzy boots, but their other styles. Do you have a current or all-time favorite book? One of my favorites is Turn the Ship Around! : A True Story of Turning Followers into Leaders by L. David Marquet. Even though it’s about a submarine, it really explains how you can completely turn a culture around and give people control. It’s fantastic for retailers.